H6cm x W6cm. 2 of each colour available. Winston Fawn & Esta Apricot designs. 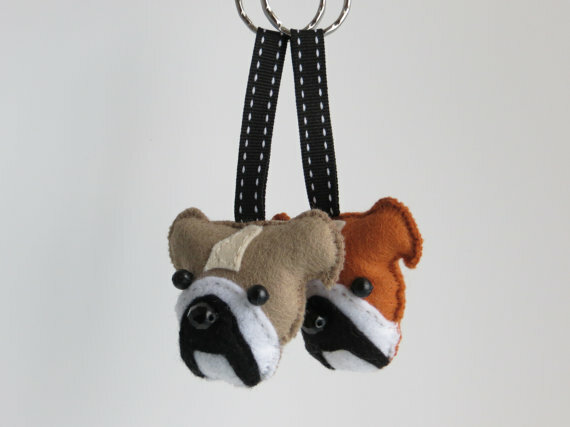 These hand sewn felt keyrings designed and made by me, are filled with polyester stuffing and have a metal keyring. Black beads finish the facial details. Ribbon designs and colours may vary but will be black and white. 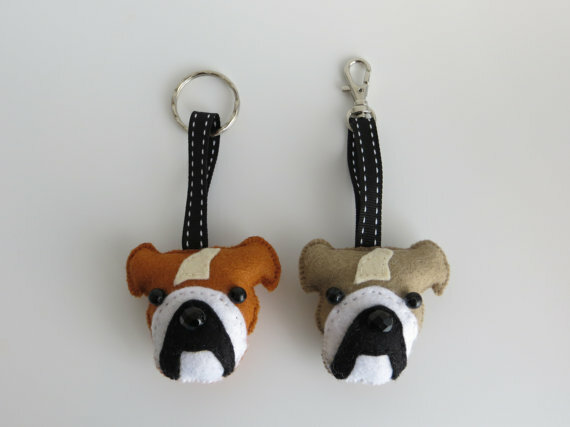 They were inspired by Esta the Bulldog who lives with her mum Sadie and runs a pet shop! Esta is an Apricot colour but I know there are paler Bulldogs out there so I created Winston (after the Churchill advert) too, he is a Fawn colour. Also available as bag charms. Detailing to one side only. 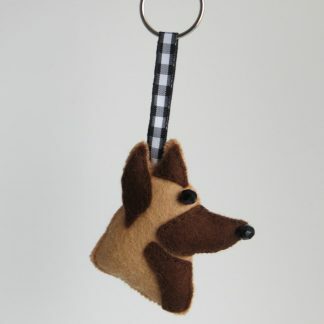 Materials: Felt, polyester stuffing, beads, metal keyring.